The above beechwood armchair is upholstered in Aubusson tapestry illustrating Aesop’s fables. During the 17th and 18th centuries, illustrations of Aesop’s fables were incredibly popular and were frequently applied to all types of decorative art objects. The fables were again popularised during the Rococo Revival of the 1840’s. 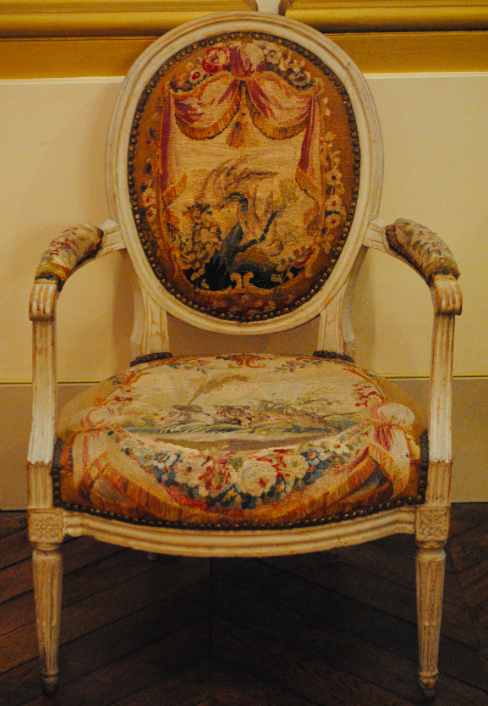 The French chair dates to circa 1780 and is one of a pair of white painted armchairs.